Okey dokey! This is what I wore for the ballet. 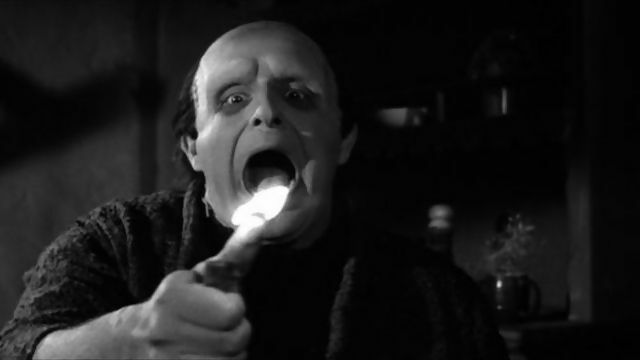 Frankenstein btw was excellent. High production values, great stagecraft, well danced (they’re doing lifts again, yay! ), lovely music. I was pleasantly pleased. I was very happy with this outfit, altho it’s subdued in my book. It was comfortable as well - up to the walking and warm enough. Had a bit of panic yesterday because it was POURING rain. However, today was very springlike and the evening, when the ballet let out, warmed up. I was hoping to have time to curl my hair, but the Twitter went out that there was to be a rally. So went by train two and half hours early... and of course the rally turned out nano and we could have driven. Haha! Only saw two pairs of black jeans. Everyone was dressed neatly and several gussied up. I even saw two fur coats. But my how times have changed! No jewelry, no makeup, no satin. ps: boy the opera house got HOT after the second half! I love the opera house! Our local opera house is modern. I miss the ornate look of gold and chandeliers at the opera! Now your outfit: I love it! It’s absolutely perfect! You look like you could walk into our theatre and fit right in. Subdued and neat casual is the way to go. No one wears nylons unless it’s a fundraising event. Why is that? Your coat is gorgeous, I hope your white boots/booties were okay on wet/damp sidewalks! They look pristine in the picture. Rachy, I love your velvet suit. 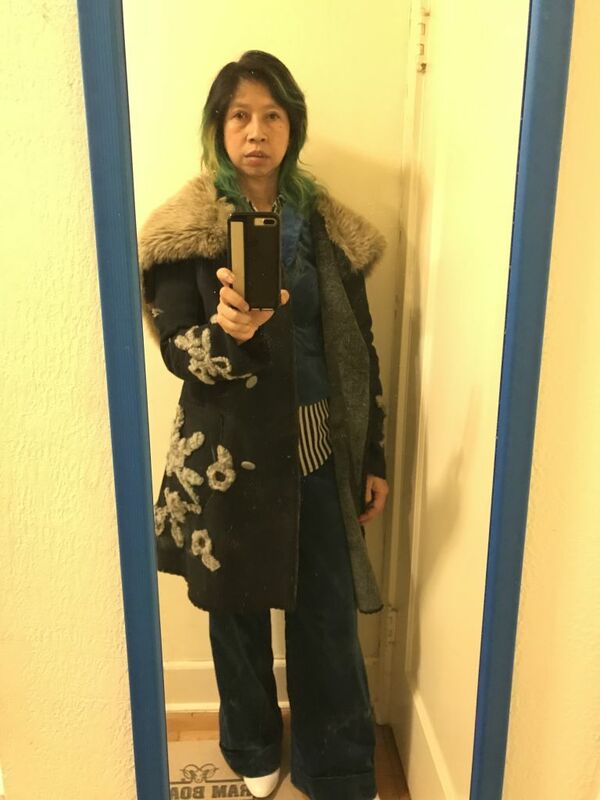 You look so stylish, wearing layers is practical too, because you can never tell how hot you may get at a function where there are so many people. I regularly go to the ballet, and the last time I went, I was constantly putting my jacket on and off, because in the theatre it was cool but in the function room (before performance drinks, intermission and after party) it was warm. 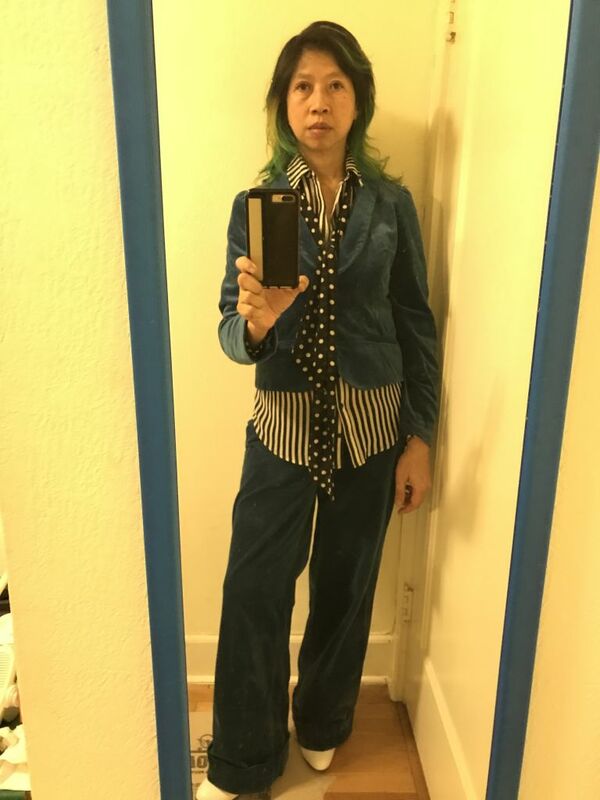 The velvet suit is phenomenal- and then you added stripes and polka dots, and shoes that pick up the white. It’s perfection. The velvet suit is gorgeous, you look amazing, your coat is very pretty, everything perfect. I love this outfit! Those pants look amazing on you and your coat is gorgeous. Sounds like a fun night. LOVE your suit and your style! The outfit is sooo good! Polka dots with stripes and the lovely boots make me smile. You look so beautiful! Fun look! I love the pattern mix and the color of the jacket is sooooo great with your hair, sort of an ombré effect. Clever! Super cute outfit and the coat is amazing. You look stunning. Love the patterns and shoes. Your post is bringing back memories. 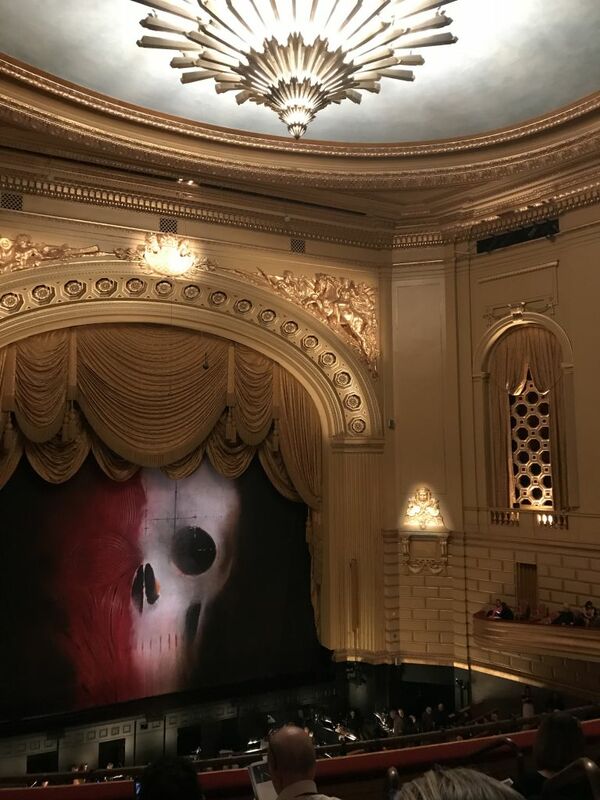 My mom loved the SF opera. I remember one marathon long weekend in the 1980s where she took me and my sis to three productions. I love your pattern mixing, and your hair. The stage looks scary! Not what I was expecting when I read Frankenstein! You look terrific, and I love the coat! I love these white boots... but oh, I’m destroying them. They’ve got a couple of nicks and scuffs already. Patent is so delicate! Everyone who saw you must have taken a second look at this spectacular outfit. I love that coat! I must say, I find this coat useful. Mother thinks it’s weird, but it’s warm and not gear. The skull curtain was pretty amazing. Different. Probably good for the millenials and under. The museum across the way has night hours now... also for the millennials... we went so early we visited. The feature exhibit was definitely written by millenials for millenials. The write ups were so odd... clear discomfort with big words and, as it was about religious art, well they were trying to explain the whole notion of religion itself. Not the meaning of this or that religious symbol, but ‘why depict divinity’ and ‘how you can understand how anyone could conceive of divinity.’ I don’t think you’d have had to explain this in previous times. Rachy, I love this outfit - and it's sort of a variation on Angie's ensemble today, isn't it? This is great! I love the polka dots and stripes together and your white shoes look very chic. Two reanimated monster thumbs up ! Oh my goodness! Where have you been hiding this? Such a fun and sharp twist on suit dressing. I love it! This big fella gives it one enthusiastic flaming thumbs up. Love it! The stripes plus polka dots is awesome. Wow! What a great outfit, Rachylou. Perfect, in every way and your hair works too! Interesting point about religion and millennialis. Several years ago I was leading some tutorials on....yes, Shelley's Frankenstein, but I had to give a tangential crash course on religion because the kids didn't know their bible stories and how they informed so much of early literature. Rachylou, what a great outfit. The stripes and polka dots are cool and the white shoes are gorgeous. Great coat, too. The show sounds excellent. I am glad you enjoyed it. The museum sounds interesting, interesting comments about millennials. I haven't read Frankenstein, but I am thinking that I would like to now. Desperately trying to post my comment here- it was erased twice!!! Well, Rach, this outdid is simply outstanding. I had not seen it was a suit-with the lighting pants show black on my screen. It’s altogether enticing, inspiring, understated and spectacular. Every part speaks to another, hair tint with jacket, tie with shirt, boots with coats embroidery... this outfit is a modern wink to Annie Hall that suits you so well. I like your hair this way with it. And the coat is very cute too. Omg, Angie! I wish I’d bought two pairs of these white boots! Krish, you’re right about Annie Hall! Hadn’t thought of that and now I love it! Jane - whenever I look at that big chandelier... we’re earthquake country, I will NEVER get tickets in the orchestra seating area and sit under that thing!!! Carla, I suspect Gen X also is unfamiliar. I’ve known several people who majored in art history because, I think, their minds were blown by discovering ‘secret religious symbolism’ in old art. That is, they had to study it because they didn’t just see it. When I was young and mean, a college friend made me join her and some others for a read of Flannery O’Connor and a discussion of her religious symbolism. I rolled my eyes thru it, thinking this was all paint-by-numbers. Lol. Wasn’t I a snot? Lol!